Sumeet wanted to know the best practices i have used to promote the book. He understood that just launching the book is not good enough. One needs to go out and market it with full strength. Bit i had nothing to share on that front. I clearly told him that marketing or selling the book has never been my strength. But, at the same time, I do have a clear mission in life, and this mission pushes me to solve people's problems in life. I am just focusing on how i can solve someone's practical problems. How does this approach result in any kind of "word of mouth" is anyone's guess. Book sale has always been a bi-product of the help that i am giving from my heart. "Easier said than done." he argued. I said "Yes, this looks like a motherhood statement, but we must understand how does this translate into practical actions." So, here is the practical aspect. I am looking for people who have strong dreams and want to come out of financial rut in life, and i want to help them in the best way I can. Because i believe that once money problems are out of their life, they will do their own bit in upliftment of our society, which happens to be the mission of my life. I never ask anyone whether they have purchased my book, though i might ask them whether they have read it, and that too, just to understand their current level of understanding from where i need to guide them. I never care for the number of copies sold, though i keep track of the number of freedom seekers who are actively seeking help, registering on blog, freedom portal and other social media etc.. I do not charge anyone even a single penny for the hundreds of sessions i provide or the workshops i take. Because the intention is to help, and i do so happily without an iota of doubt. I don't care whether the book is already a bestseller or not, because that has nothing to do with my mission of life. Now, in spite of all that, if the book also has been doing good in the market is a welcome news. I love it, because this tells me that i can potentially reach more people who may seek help. Whenever i listen to one of the best motivational speakers Zig Ziglar, i like this statement of his: "If you help enough people get what they want in life, you will definitely get what you want in life." 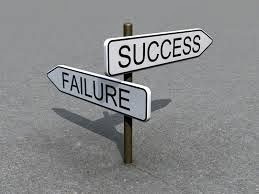 I am in a zone or state that is independent of the "success" or "failure" - how market looks at it. I look at my success from my own lens keeping my mission of life in front of me. When you are in this zone, you have cut off your dependencies and that is a beautiful phase of life. Your happiness is now independent of how market or client reacts. Your happiness is only dependent on how you want to feel. Learn more about reducing your dependencies in life, in the book "Happiness Unlimited"